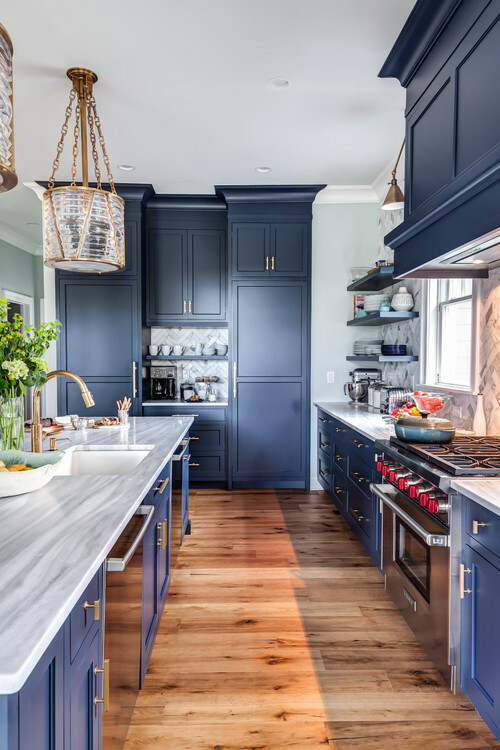 All cabinetry is Benjamin Moore, Hale Navy. 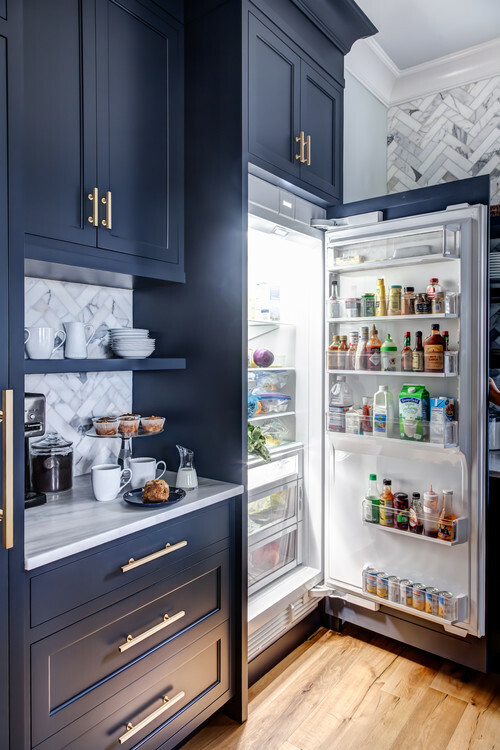 This space features inset cabinetry configuration with a transitional look in terms of mouldings. Fully integrated sub-zero refrigerator/freezer columns frame out a landing area built for serving coffee. 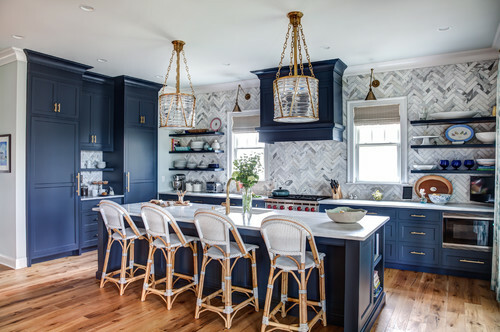 Floating shelves, custom wood hood and a countertop to ceiling herringbone backsplash make a fantastic backdrop. 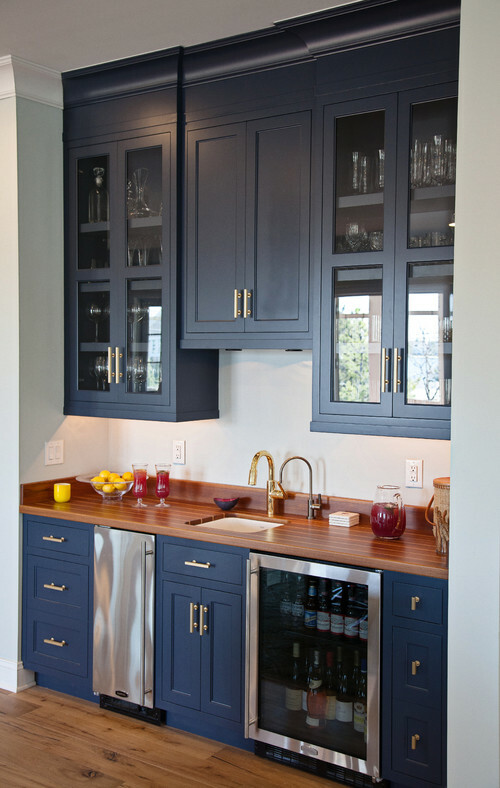 Wet bar features a teak bar top and glass cabinetry.